The terrible fir es that burned in Sonoma, Napa and Mendocino counties this past October were a great tragedy. In Sonoma County alone, the wildfires destroyed 6,600 structures, including 5,130 homes, and killed at least 23 people, according to data released by Cal Fire in early November. Our hearts go out to all the people who suffered losses from these wine country fires, as well as to the people in Southern California who are suffering from out-of-control wildfires as I write this. 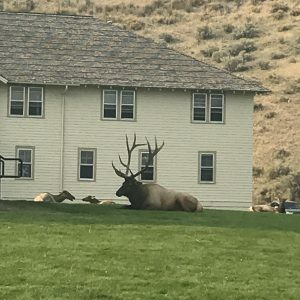 I want to report to our Tribe, however, that our winery and tasting room escaped fire damage, as did Molly’s and my home, as well as Lucas’ and Erika’s home. Our tasting room in Geyserville was in a recommended evacuation zone, and we closed it for a week, but since then it’s been back on a normal operating schedule. I also want to report that Austin and Remy (Molly’s and my dogs) and Ennis (Erika’s and Lucas’ dog) are as happy and fun as ever. During the fires there was a great deal of speculation about the possibility of smoke tainting the grapes. So far as we know, however, this did not develop into a significant problem. 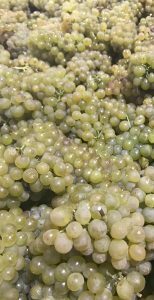 Virtually all of our wine grapes had been harvested before the fires, and the very small amount of grapes harvested after the fires did not suffer from smoke taint. I can also report positive news that, in general, the Sonoma, Napa and Mendocino wine industries did not suffer significant physical damage from the fires. There are more than 1,000 wineries operating in these three counties. To my knowledge, only eleven of those wineries were destroyed by the fires, and an even smaller number of wineries suffered some fire damage, but are still able to operate. And while the fires did burn around the edges of some vineyards, they did not generally attack entire vineyards. 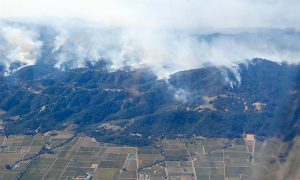 Indeed, in a number of instances, vineyards served as fire breaks. Most of the vineyards are as glorious to view as ever. There has, however, been an intangible negative effect from the fires. Since the fires, the number of wine lovers traveling to visit our wineries and tasting rooms (as well as our local hotels, restaurants, etc.) is significantly reduced. We ask, therefore, that you help us spread the word that, while the October fires were devastating in many ways, they did not have a major negative effect on our North Coast wine industry. The great majority of our wineries, restaurants, hotels, etc. are operating in a perfectly normal manner. Please come visit! All of us at The Meeker Vineyard wish you and yours Happy Holidays and a wonderful New Year! It’s fitting that I’m writing you this newsletter during this time of year, at the table I invade as my “Harvest Desk” from roughly late August until early November. That’s because this shipment brings you a new wine, the first in a new series, that embodies the magic and madness of harvest. While I am incredibly proud of this vintage of Winemakers’ Handprint Merlot, I want to take this space to tell you more about Hone #1: Sakura. I’m excited about this wine for wine reasons, so to speak, but I’m also excited about this wine because it tells three stories that mean a lot to me: it lets me share a little about where I find the magic in winemakin; it represents a multi-decade tradition in our cellar established by my dad; and it tells you about our former Asst. Winemaker/my current brother-in-law Tyler Johnson. I’m [in]famous for talking about wine technically and focusing on “science-y stuff”. That’s true, and often folks presume my opinion is that winemaking is all science and all technical, and that I don’t feel or find much magic in the process. And while I do love the technical side of winemaking, there is ample magic to be found. It might be counter-intuitive, but you can walk in to a winemaking decision armed to the teeth with information and all it does is make the decision more difficult. And more often than you’d think, what drives a decision is gut instinct. To me, winemaking is about relationships. We have a relationship with Mother Nature that feels instinctive, magical, and mysterious. We also have a relationship with science that feels structured, confident, and logical. And we force a relationship between the two, where we use science to try and “unlock” the mystery of winemaking, and where we use the data from Mother Nature’s fruit to arm science with the tools to teach us more and help us make better wine. 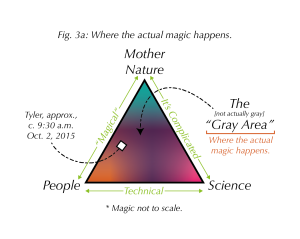 These relationships form a triangle, and our corner, humans, includes all the wrinkles and mess we bring to the table: logistical messes, tradition, artistry, history, ethics, etc. 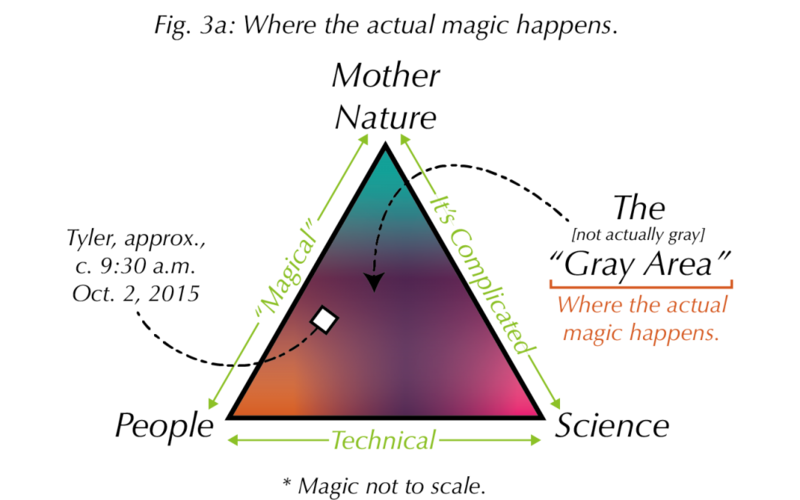 When the relationships—the lines, if you will—between the three points of the triangle are strong, good wine gets made. But the lines aren’t where the wine is made. The space inside the lines—which I usually call the “gray area” (but I secretly imagine it isn’t literally gray at all)—is where winemaking happens. And that space, where Mother Nature, science, and humans push and pull on each other endlessly, is full of magic. Rolling up our sleeves to dive in every August is a privilege, an adventure, and a lot of fun. Sakura is a perfect specimen of a wine that could only exist because of the magic of the “gray area”, which makes it a perfect choice as the first wine in our new series, Hone. My dad, long before I was making wine, established a tradition of curiosity and a drive to learn and improve that is the foundation for our winemaking ethos. One way he did this was by constantly “experimenting”, by which he meant constantly trying to refine our process by finding new grapes, techniques, or winemaking adventures to explore. He insisted on at least one “experiment” every harvest (and usually ended up with a few). These experiments either became or inspired many of our wines: Four Kings, FroZin, Barberian, Zin Gre, Paddle, Fossil and many others all come from this lineage of experiments. And many of the techniques and protocols we use on every wine were refined—or honed [sorry, couldn’t resist]—in this tradition. Always experimenting, always learning, always wondering is a tradition I’m very proud to continue, and it will always represent the values that underpin my relationship with my dad. Sakura is the result of a perfect “gray area” magic moment where my dad’s tradition collided with Mother Nature’s short yields, our shortage of fermentation space, and Tyler’s personality and iron-will. Tyler’s idea to co-ferment the short Viognier with our field blend (more on that below and on the back label) was pretty out-there, I never would have come up with it, and I’m pretty notorious for out-there ideas. But if you know Tyler well, the fact that he came up with this idea fits perfectly. Ty spent five harvests with us, first as a cellar assistant in 2011 and finishing as Assistant Winemaker and Ops Manager after the 2015 harvest. I was friends with Ty for years before he worked in the cellar, so having him in the winery was a lot of, and occasionally too much, fun. You can even see it in our Harvest Records: Tyler’s records are at least 40% more diligently kept than mine, and you don’t go more than a couple pages of winemaking data without finding some of Tyler’s personality. It’s hard to explain how a binder full of data and To Do lists can be funny, but Tyler made it so. Ty is also curious, pragmatic to his core, and fearless. If he thinks something is right, good luck changing his mind. Sakura wouldn’t exist if it wasn’t for his idea to combine the two lots: he had a gut-feeling that this was an experiment we should try, and he had to convince me. This should tell you a lot about how big of a part of our family, and our tradition, he is. I didn’t do anything special other than say “that’s a weird idea, <bleep> it, why not?” and then convince my dad (it didn’t take much, he loves experiments). This should also tell you a lot about my relationship with Tyler (an in-law!). He was a big, positive force in our cellar, and our wines are better for having had him around as long as we did. I’m so excited to bring you this first wine in the Hone series alongside another incredible vintage of Handprint. It is a perfect pairing of two contrasting traditions: our first tradition of making classically structured, elegant, age-worthy wines and our second tradition of “experiments” that never stops teaching us how to refine our execution of the first tradition. As always, our door is open to you when you’re in town, and I’m always available by email (lucas@meekerwine.com) to answer any questions or help out however I can. Thank you for your support. The release in this Tribe shipment of a Meeker wine named “HONE #1: Sakura” has inspired me to share with our Tribe the great pride and pleasure and, indeed, the great excitement that Molly and I have experienced as Lucas has fully matured into an expert and innovative head winemaker over his 10+ years with our winery. As Lucas explains on the back label of Hone #1: Sakura, it has been a longstanding tradition at our winery that “every harvest we have at least one ‘experiment’ – a variety we haven’t made, a technique we want to sharpen, or a winemaking idea we haven’t tried before – to reinforce the idea that we’re never done honing our craft.” In that tradition, our Hone #1: Sakura is a new wine blend created by Lucas with the help of Tyler Johnson, who was then our assistant winemaker — and who now is our daughter’s husband! To my knowledge, this wine is not based on any previously established wine blend. new, and I believe that you will like it a lot. Lucas is, of course, continuing to do a great job making our traditional Meeker “big reds”, such as the 2014 Handprint Merlot that is also part of this Tribe shipment. Molly likes to watch birds, so the Meekers have two bird feeders in front of their house (they used to be in the back garden where she could watch them while eating breakfast, but they ate all the vegetable seedlings Charlie raised one year, so now they’re away from the garden). One is full of black oil sunflower seeds – by far the most popular – and the other has a mix of seeds, including corn and millet. These feeders are tubular in shape, with a tiny perch below each of six openings for the birds to rest on while they stick their little heads in the tube to eat. By far the most common of the species are house finches and oak titmice – birds no more than 3 inches in length and very feisty. Molly also sees nuthatches, scrub and stellar jays, grosbeaks, and, the most showy, western tanagers. Lately, however, a new bird has come in to feed. In the beginning, there were only two, about four weeks ago. They are not tiny. They are banded tail pigeons and they are beautiful and huge. At least 15 inches from beak to tail. These are not the pigeons you see in the city. They are wilder and, apparently, it is unusual for them to use feeders. Watching these big guys try to feed is hilarious. At rest or on the ground, they move with dignity and poise. But even the saucer-shaped ledges around the bottom of the feeders do not give them enough purchase to hang on and stick their beaks into the food. They start to slide off when they lean in, which forces them to flap their wings to keep their balance. Now, when there were only two of them, one would sit sedately on the top of the feeder while the other flapped madly, first head up, then head sideways, then head down, with the feeder swinging wildly and the pigeon on top hanging on for dear life. Finally, the one flapping would get his beak in the food long enough to get a seed. He would drop to the ground, reassume his self-possession and the guy riding shotgun on top would take his turn. Molly has been out of town for a couple of weeks and when she returned, the pair of pigeons had turned into a flock. Today there were about 20 in the yard, two on top, four flapping for all they were worth hanging onto various parts of the feeder, and 14 or so waiting their turn on the ground. The feeder looked like a merry go round out of The Birds. No heads, no bodies, just a circle of flapping wings. And the finches and titmice? On the fence. Unhappy. Try and buy 80’s Zinfandel (not for sale, unfortunately), 90’s Cabernet, Merlot, and Four Kings, 2000’s Carignane and Barberian, and some current release wines from the 2010’s, like ZinGre, Grenache, Zinfandel, Winemaker’s Handprint Merlot, and Four Kings. RSVP to the tasting room at tastingroom@meekerwine.com or 707-431-2148 if you’d like to attend. The Meeker Vineyard is celebrating 40 years in Sonoma County’s Dry Creek Valley, and to celebrate, we’ll be pouring wines from four different decades at our Library Tasting event next month. Second generation winemaker and COO, Lucas Meeker, invites you to share in our historical tasting event. Please RSVP for this tasting by emailing jeff@meekerwine.com, or calling the tasting room at 707-431-2148. Charles and Molly Meeker bought their first vineyard at the end of West Dry Creek Road in Sonoma County’s Dry Creek Valley in 1977. The man responsible for inviting Charlie to visit the area for the first time was Jerry Lambert of Lambert Bridge Winery. Jerry later introduced Charlie to a local real estate broker/winemaker, Americo Rafanelli, aka A. Rafanelli, who helped negotiate the purchase of a 98-acre farm. It included five acres of old vine zinfandel, a prune orchard, and some additional vineyard that had been abandoned during prohibition. 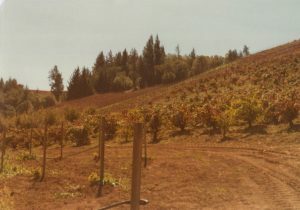 This property would become The Meeker Vineyard in early 1977. In 1984, Charlie and Molly established their winery on the vineyard site with Charlie as the winemaker. In its early years, the winery specialized in Zinfandel, Cabernet Sauvignon, and Chardonnay. The winery’s first red wine release, a 1984 Zinfandel, was an instant success, winning eight wine competition medals and becoming the third most awarded Zin in the country that year. 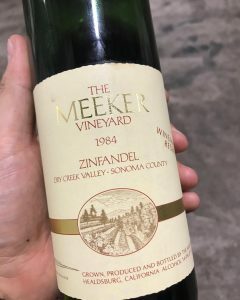 Thereafter, among other awards, the 1985 Meeker Zin was a Wine Spectator “Best Buy”, the 1986 Zin was a “Spectator Selection”, and the 1990 Zin was included among the Wine Spectator’s “100 Best Wines of the World”. And Zinfandel wasn’t the winery’s only success – for example, the Wine Spectator gave a score of 91 to one of Charlie’s early Chardonnays. Today the Meeker Vineyard continues to operate as a family operation. Second generation winemaker, Lucas Meeker, the youngest of Molly & Charlie’s children, joined the winery full time in 2007 after graduating from Colgate University. Starting off scrubbing tanks and washing glasses, he’s worked his way up to COO and Head Winemaker. He also does all of the label design and runs the winery day-to-day. Molly is President and in charge of marketing and accounting. Charlie is CEO and Co-Winemaker, and a fixture in our Geyserville tasting room (21035 Geyserville Ave), where he is known for sharing stories about his experiences in the wine business and his career as a Hollywood lawyer and executive. I would like to tell you about a very special man who served as our vineyard manager for many years, and who also, with no prior winemaking experience, served as a very effective Assistant Winemaker when we established our winery in 1984. I think you’ll enjoy the story. But first, some background info. As many of you know, Molly and I bought our first vineyard during February 1977. It was on West Dry Creek Road in Sonoma County, and the real estate broker who handled the transaction was Americo (“Am”) Rafanelli. Am was also then the owner/winemaker of A. Rafanelli Winery in Dry Creek Valley. Am and his wife Mary became our good friends for many years thereafter. They were wonderful people. At Am’s suggestion, we hired Jim Guadagni as our first vineyard manager. At that point Jim was in his 60’s and had spent his life living and farming in Dry Creek Valley. Part of our new vineyard was steep hillside with an elevation gain of 380 feet just within our property, and we planted most of that hillside in the years following our purchase. One of my favorite memories of Jim was watching him drive our track-layer tractor pulling a big disc across that hillside. Even though he was driving the tractor across the hillside, it was so steep that, in order to keep the tractor from sliding downhill, Jim had to point the tractor as much uphill as across. Jim may have been in his 60’s, but doing that scary kind of tractor driving didn’t seem to bother him at all. About a year into Jim’s work with us, he introduced me to Frank McGinnis, his son-in-law, who had recently settled in Dry Creek Valley. Jim explained that Frank had recently retired from many, many years of service in the U.S. Navy, where during the Vietnam War he had served as a Chief Bosun’s Mate on a U.S. aircraft carrier off Vietnam, with hundreds of sailors reporting to him. And, of course, Jim soon thereafter suggested that I hire Frank to help him manage our vineyard. Frank started working with us right away, and after Jim’s retirement became our sole vineyard manager. Frank was very likeable, quite smart, good at listening to instructions, and always ready with intelligent questions. He worked well with other people, and I never knew him to exchange unpleasant words with any of our vineyard employees or other workers. Above all, he was a man who enjoyed doing hard and successful work. We built our first winery during the summer of 1984, and even though Molly and I lived and had full time jobs in Los Angeles, I also served as the winery’s only Winemaker until 1991, when an exciting new job in Los Angeles (I became President of Metro-Goldwyn-Mayer) imposed some limitations on my frequent visits to our winery. From the beginning of the winery I knew I needed help, but I didn’t want to hire another winemaker. That’s when Frank became our winery’s first Assistant Winemaker. Frank had no prior education or experience involving winemaking, but as mentioned above, he was a quick learner. We worked together closely, and he diligently followed our winemaking protocols when I was stuck in Los Angeles. The fact that Frank did a great job in both our vineyard and our winery is evidenced by the facts that the 1985 Meeker Zinfandel was a Wine Spectator “Best Buy”, the 1986 Zinfandel was a “Spectator Selection”, and the 1990 Zinfandel was included among the Wine Spectator’s “100 Best Wines of the World”. When I look back on our years of collaboration in the vineyard and winery, one memory of Frank always brings a smile to my face. During summer 1985, one of my best personal friends in Los Angeles came to visit along with his then-girlfriend. When I was showing them around, my friend noticed our tractor, which was parked on a dirt tractor path in a flat portion of our vineyard. He pointed toward to flat path ahead of the tractor, and said, “Later could I try driving the tractor a little bit?” I replied, “Sure, but be careful.” Later that day, I excused myself to drive into Healdsburg to pick something up. When I returned, Frank was waiting for me at the top of the driveway. “Your friend started the tractor,” he said. “Told me you said it was okay. 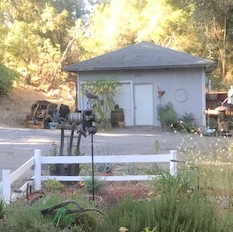 After testing it on the path it was on, his girlfriend joined him on the tractor seat, and they steered it around to the front vineyard.” [This was the steep hillside mentioned above with respect to Jim.] Frank continued: “They drove it about 30 yards up the steepest part of the hillside, then lost control, and both jumped off the tractor, which then started rolling backwards into the vineyard. It tore down the trellis wires for five vineyard rows, and then was finally stopped by a sixth trellis. I had to rescue the tractor.” Frank stepped forward, put his arm around my shoulders, and with a stern look on his face, stated: “Charlie, a tractor is not a toy.” That was not the least of his good advice to me over the years! Frank brought much wisdom, kindness, and warmth to his work, and he was instrumental to the early years of our business. He left us with lots of wonderful memories. Thank you, Frank! Another chapter in the annals of the DCVC&CA (the Dry Creek Valley Coyote &Chicken Auxiliary; successor to the Dry Creek Valley Skunk & Newspaper Patrol). Austin, the Goldendoodle, and Remy, the Maltese, are the sole and founding members of the DCVC&CA. Molly is the recording secretary and chief mess officer. 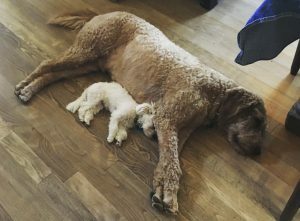 Until recently, Molly believed that Remy was too small (5 pounds, 8 ounces and 4 inches at the shoulder) to walk or hike with Austin. She even bought one of those dorky chest packs to carry her on their hikes around Lake Sonoma. The last few months, however, have been a revelation. Remy is solid muscle, spring loaded, and determined to match Austin stride for stride. Except, of course, it doesn’t work that way. One stride for Austin is five for Remy, and when he trots, she’s trot/cantering to keep up. Take, for example, their latest walk in Healdsburg. Molly and Austin walked 2.35 miles. Remy did about 3.00. Remy not only takes five times as many steps as Austin, she is compelled to investigate every driveway, door path and hedge along the way. She launches herself up whatever the sidetrack is, feet touching down about five feet in, and scrambles almost to the length of her extend-a-leash, sniffing madly, then returns to Austin’s side just before the leash reaches its limit and tugs her. And when the leash tugs Remy, she goes flying. Zero resistance. So, we have Molly and Austin more or less sedately, but briskly, booking up the sidewalk in more or less a straight line, and Remy braiding a trail around them when she’s not inadvertently flying through the air at the end of her retractable leash. This is all before they encounter other dogs. Once again on their latest walk in Healdsburg, a perfectly nice man with a Rottweiler puppy on a leash approached the DCVC&CA on the sidewalk. From a distance of about 30 feet, he said, “This one’s friendly, how about yours?” Molly replied, “The big guy’s fine, but it’s the little one that will mess with him.” Sure enough, Remy charged the 80-pound puppy with zero fear and/or good sense, yapping madly, and attempting to bite his ankles. Molly applied the brake on the retractable leash and Remy did a mid-air 180 turn. Meanwhile, the Rottweiler was grinning and trying to say hi, and nearly ripping the nice man’s arm off. They parted ways with difficulty, but with smiles. Remy has, therefore, earned her bones, so to speak, and on the next Lake Sonoma hike, she will walk, not ride. Sunday, April 23, it happened – Remy walked, nay, trotted, the 4.5 miles around Lake Sonoma. She outlasted Austin! In fact, when he needed a second rest stop (after the traditional halfway liedown in the shade with water), she walked in circles around him, as if to say, “Why are we stopping here?” True to her nature on the street walks, she accosted every other dog, including two huskies and a pit bull cross, on the trail. She may be tiny but she’s nobody’s wuss. A very strong, very outspoken, fearless young lady. And isn’t that nice?